You probably know that you can use Gmail with your business email. To do that, you have to create a Google Suite account and a custom email name with your domain address. You might ask, “What’s wrong with this method?” We’ll tell you what — you’ll have to pay. Sure, it’s just $5 a month (or $12 if you need more storage), but it’s still money. This is especially crucial for new businesses and startups. Why would you place an unnecessary strain on your budget when you can get something for free? Wait, would Google allow you to get your business email for free when they’re charging for it? Yes and not quite. Read on to find out why you need a business email and how to get it to work with Google for free. Why Do You Even Need a Business Email? Okay, do you really need it? I mean, do people even care about what the address is if they get the answers? Let’s see what benefits you can get with a custom email. You must have seen these small blog websites that have a @gmail address in their contact us section. Maybe you’ve even written to some of those, and they responded quickly. What if it’s a website that sells something. And it lists a personal email as a way of communication. Would you trust it as much as a business email? Are they even registered or are they selling without a license? Sure, you can’t tell that just by looking at their email address, but it’s more about psychology. Admit it, you’d feel more secure talking to [email protected] than to [email protected]. Okay, maybe you can pull it off with a @gmail when you are running a tiny business or a side gig. But what about the time you start expanding? You can’t just say you’re a single company when your contact us section contains a bunch of random addresses. You’d be far better off with a unified system of naming your employees’ email addresses. Besides, it’s going to be much easier to sort the incoming emails. Your customers won’t mix up different addresses as much, so you won’t have to forward the emails to one another all the time. Did you register your current email name on the first try? You are lucky if you did. There are so many people on Gmail that it’s hard to get a nice-looking unique name — they all seem to be taken. If you want to have a neat Gmail address on your website, you can just forget about it. [email protected] or [email protected] are completely out of the question. Your name is probably taken too unless it’s a one-of-a-kind case. If you get a custom email address with your domain name, it can look way nicer. Many hosting websites know that you are going to get a G Suite anyways, so they don’t bother with good email software. As a result, most companies offer solutions that are just insufferable to use. Using Gmail is just better in all respects, from multiple accounts to a mobile app. Now that you know you need that custom email domain, let’s get back to the question why. Why would Google allow people to get paid features for free? The thing is, we’re not actually creating an email. We are setting up email forwarding. In case you don’t know how this works, email forwarding allows all mail from one account to be redirected to another account. It works great for getting a new email without changing the program you are using to read and answer emails. It’s also ideal for gathering all of your old email accounts in one place. It’s also possible to use other emails as aliases. 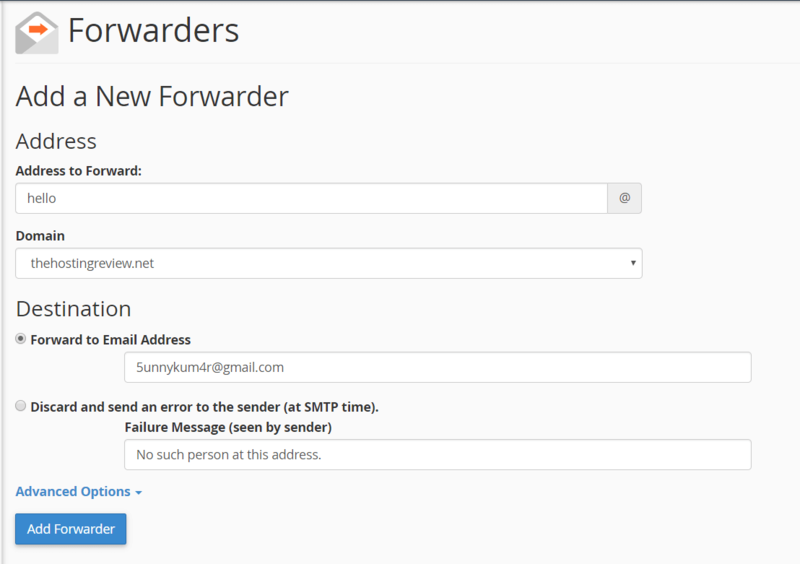 You can create forwarding rules that allow you to forward emails from multiple addresses to your email account. As you grow, you can change the rules to redirect emails to your employees as well. Think a student outsourcing his paper to an essay company like www.the-essays.com/. There may be dozens of busy students (email addresses on your domain), but the receiver is the same — your main address. Now that you’ve read (or skipped) how it all works, let’s get right to it. Here is how you create a business email address step by step. Sure, you can get a domain at Google at the same price you’ll pay for setting up an email account, but that would defeat the purpose. You could have just got yourself an email as well. So go to your favorite registrar and get yourself a decent domain if you don’t have one already. Here I had listed my favorite domain registrars. You can check their pros and cons and also renewal charges before purchasing a domain name. Pro Tip: Don’t Get the Cheapest One. Seriously, even if you are buying it to test out a business idea and think it is not going to be of any use in two months time, don’t go for a cheap one. Have you ever seen a trustworthy .xyz or .biz domain? They’re a rarity. People will trust you less just because of the domain you got yourself. Spend a few more bucks and get yourself a good domain name. You may be able to sell it later. Now that you have a website get yourself a hosting and synchronize them. Again, you have to go for a medium quality hosting at least. 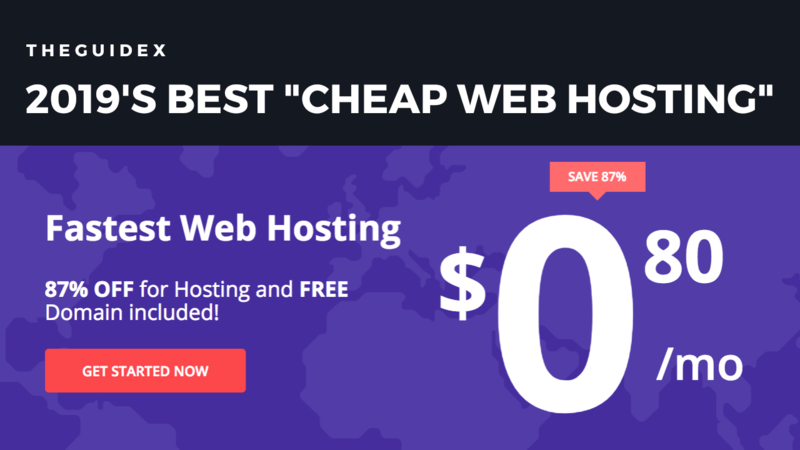 You can follow our guide on Cheapest “Best Web Hosting” Providers for best and cheap web hosting plans. Firstly, the cheapest ones may have troubles with Google or be easily hackable. Secondly, they can be very slow, which doesn’t help to forward a bit. Depending on your hosting, you may have very different management panels. Since most of them are somewhat intuitive, we will describe your course of actions in general. You do the groundwork. Go to the section where you can manage your email accounts and choose to create a new one. For now, you can go with [email protected]. For more information on how to name your business email, check out the last chapter of this article. Choose a strong password and set the mailbox quota to the maximum if you have one. Now you need to get the information Gmail will use to forward your emails. Go to the email accounts management settings and look for words like “configuration” or “manual settings.” Get the email servers from there. These come with POP3, IMAP, and SMTP in front of them. If you see an option to get SSL servers, choose them, as they are more secure. Now you have to set up forwarding from the website. Look for “forwarding” or “add forwarder” on your management panel. When you get to it, insert your created business email in the “forward from” field, and your Gmail address in “destination” or “forward to” section. You’re done with your website, and it’s time to get to Google. Go to the Gmail account you plan to use for work and find its settings. Follow this path: Settings > Accounts and Import > Add a mail account. The rest is simple. You add your email address, enter the password and the address of the POP3 server you got from your host, and tick the box next to “always use SSL.” After pressing OK, you should be able to get emails forwarded to you. Go back to Accounts and Import. A line above the one you just clicked on reads “Send mail as: Add another email address.” There you can add the email address to your alias list and send emails from it. You will have to re-enter your email address, your password, and SMTP server you got from your host. This time you’ll have to confirm the email by clicking on the link Google just sent you. Pro tip: Make sure to untick “use as an alias.” Otherwise, it will say in the body of the email what your primary email account is. Congrats, now you’re done with your first business email address. You will get notifications on your PC and smartphone about all incoming emails and will be able to answer them immediately. If you want to add new email addresses, you can repeat all those steps for another email name. If you’re looking for some other free email hosting providers for your email hosting then you should try these email hosting plans. These email hosting providers are freemium i.e; offer both free and paid email hosting plans. Zoho is one of the reputed company. They offer ads-free business email hosting. When I tested their hosting plans, they offer email hosting plans with easy to use user interface (UI), fast, feature rich and also ads-free service. They offer free email hosting plans for upto 5 users. Setting up the email hosting with Zoho is easy. You just need to verify your domain name, add MX record and create an email account and its done! Here I’m sharing full steps on creating an email account with Zoho. Add and Verify Domain: The first step in creating a Zoho business email is verification of your domain name in Zoho dashboard. Add User and Groups: With this option, you can add the users and create their email ID’s from Zoho control panel. Change MX Records: After creating an email account, configure and add the given MX records in your domain DNS settings to make it works. Email Migration: If you already have an email account, you can import at this point else skip. Custom Domain Email Address: Now, you can create various other emails for free. Zoho offers 5 free users per account. Bingo! now you successfully set up your business email with Zoho. You can now use your Zoho mail to receive and send emails. Some of the web hosting providers also provide free email hosting with your hosting plan and some domain provider also provide free email accounts with your domain name. You can get your hosting plan from the providers who also offer free email hosting along with hosting plans. You can check out who offer free emails here and you can also check the domain registrars who offer free emails here. Here I’m sharing full step of creating business email ID from your cPanel hosting. Login to cPanel: The first step in creating an email address is to log in to your cPanel account. Emails Option: Click on the email option to create your email IDs. Email Details: Fill the domain name, user name, password and also attribute the space. Configuration Wizard: Once your email is created, click on “access mail” and it will redirect you to configuration details for advanced options. 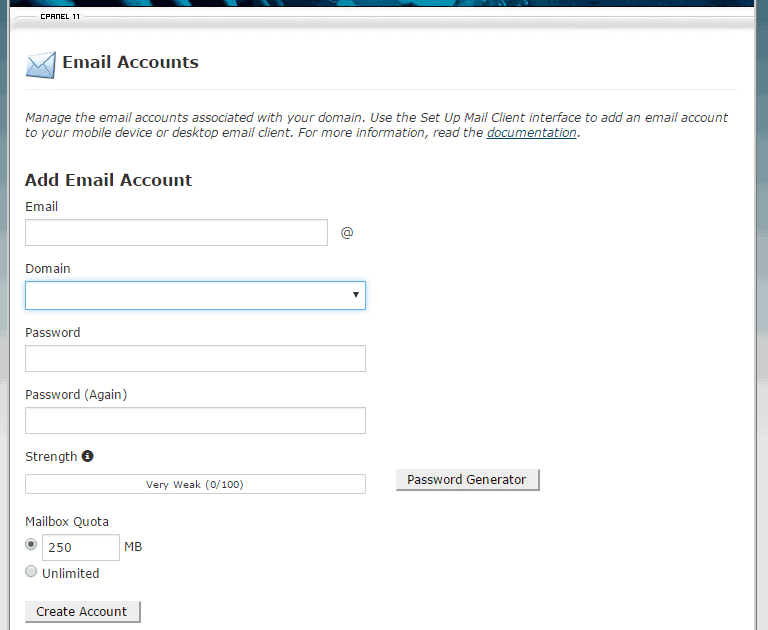 Select Email Server: Click on any of the above email servers to set up as your email software to receive and send emails. Bingo! You have done setting up your email account with cPanel using the above method. Now easily send and receive your emails quickly. Seems like too much of a hassle, but you still don’t want to pay Google for G Suite? Here are two other ways of using mail with your custom domain. Are you a nonprofit organization? Then you shouldn’t be worrying at all! Google Nonprofit Management Resources offer you a free business email address. Go there and get your free email account. After all, you’re doing it for humanity, and even international corporations understand this. If you are not a nonprofit, you still may have a chance. There are rumors that you can pass as a non-profit even if you are a for-profit organization — you just have to be small enough. But hey, it’s against the guidelines, don’t do this at home, kids. If you don’t want to do this with Gmail, there are dozens of other email management programs. Mozilla Thunderbird is one of them. It’s a program that can help you use your custom email accounts remotely. It’s a nice little piece of software with all the features you need, even scheduling responses. The drawback of this program is that it doesn’t have an iOS or Android version. Nor are they planning to release one in the nearest future. You’re stuck with PC or Mac if you want to use it. What? Drawbacks? I mean, it’s free, what drawbacks can there possibly be? To be fair, there isn’t many. But still, there are some things that you may find bothersome enough to buy G Suite. When you pay for G Suite, you can host your website on Google’s own servers. This minimizes the forwarding response time. Sure, you may not notice a two-second improvement, but it’s still faster. On top of that, there’s much more reliability. With Google’s servers, it’s unlikely that someone would have the slightest chance of getting their hands on your emails. Well, yes, technically, you can. But that would involve a lot of manual work that you can avoid with G Suit. If you pay Google $5 a month, you can easily assign and reassign employees to different aliases in a couple of clicks. And, you can block them just as easily. Ultimately, this freeway of using Gmail with your business email is just forwarding. It’s not rocket science, and this is why Google doesn’t charge for it. It’s when you want access to advanced tools like alias management, creating subdomains, and boosting your security, that you have to pay. It seems rather fair too. The bottom line is simple: if you are a small business with only you and a couple of other employees or you are just testing this website, you don’t need G Suite. You just don’t need all those tools that come with a price tag. If you plan on growing this website and keeping it for quite a long time, you may want to consider getting a basic G Suite account. Now that we’re done with the technical details, let’s get creative. Many people name their basic email on the website something like [email protected] or [email protected]. Don’t you think this kind of defeats the purpose of sounding professional? Besides, since many people have seen email bots operating on these kinds of basic email names. That makes them assume you also have a bot answering their questions. As a result, they’re less likely to ask in the first place. So here are two ways of naming your email. Calling your email according to its purpose is easier for both you and the client. The latter knows whom to write to with a certain type of question. That way, you will have an easier time sorting the incoming folder. You can just sort the mail according to the topic, but there are two problems. The first one is that you have to make a drop-down menu with predetermined topics. Not all questions might fit into categories, so you’ll end up with some misplaced emails anyway. The second problem is even worse. If you don’t get that menu, you’d have to sort the emails yourself. People don’t write identically, so that’s going to be a problem. Even if all these emails lead to you, it’s okay. This makes it less of a pain in the rear to change this section and give these aliases to your employees as you grow. When you do that, make sure to mention their name near the address. It makes it a bit more personal. If you have many departments and the people who lead them are not leaving you behind for a better job, you may want to consider this variant. Adding names or photos of your employees makes it as personal as it gets. You can even add short bios, but keep them relevant to the reason someone may want to talk to them. While this can be more personal, there are some pitfalls to consider. What if you sack Ann Lee and hire John Smith instead? You may lose a couple of regulars who would try to use the old email. If you want to use names, think about your actions in this situation beforehand. The best way would be to forward all mail to the new email and have a list of regulars to tell them the news. Many people are anxious as to whether you actually received an email. This is especially true if you have a website that doesn’t look fresh. Take a bit of time to make an automated response that is sent to the user immediately. It will put the client at ease and act as a nice little follow-up. Want to set up free Gmail hosting with your domain name? In this guide, we're going to share how you can set up free email hosting with your custom domain name. We also cover various other free email hosting providers in this article. 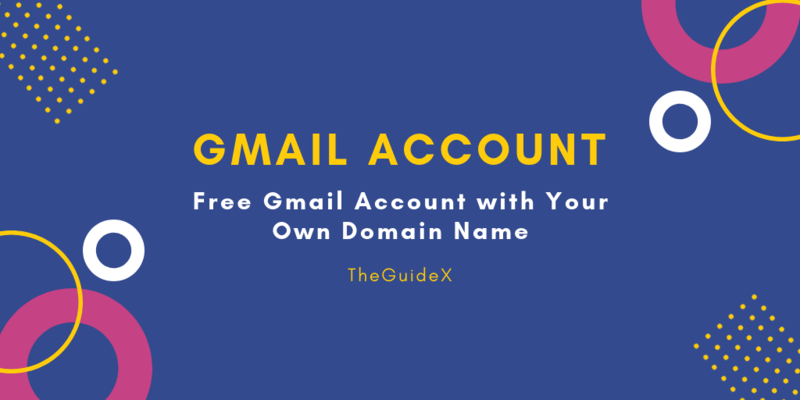 You can follow this article to learn about setting up Gmail free with your domain name. All the details you provide to us, it was very helpful and useful. Impressive Post! Above articles really helps us to know about how to use of gmail with our own domain name. Thanks for sharing well done. Above blog is very important for us. It gives us an idea of how to use Gmail with your own domain. well done keep it up.